Mrs. Elizabeth Ann Gunter age 81, of 3721 Clearwater Drive, Fayetteville, NC departed this life on Monday, September 10, 2018. Memorial service will be held on Wednesday, September 19th at 1:00 PM in the Kingdom Hall of Jehovah's Witness. 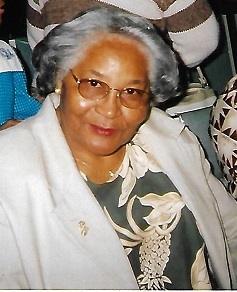 She leaves to cherish her loving memories: husband, David Gunter; two sons, Marlon Gunter and Reginald Gunter; daughter, Angela Gunter; brother Harold Flowers; two sisters, Shirley McPhatter and Iola Dockery; six grandchildren; six great grandchildren and a host of other relatives and friends.